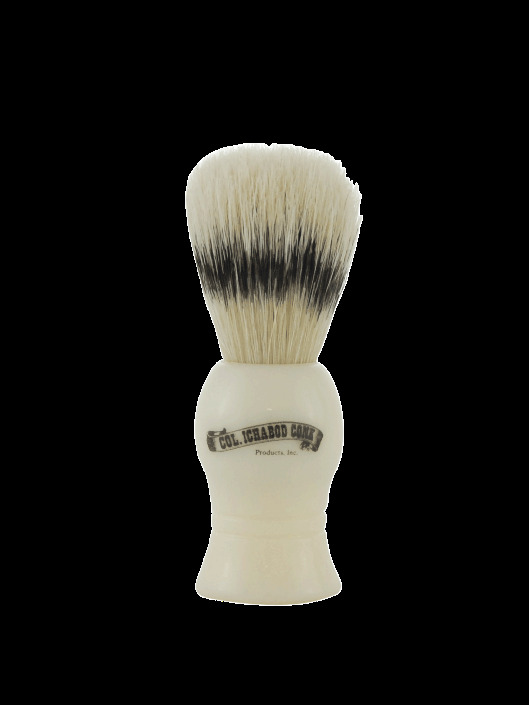 Deluxe natural boar bristle shave brush with a cream colored molded resin handle with a black Col. Conk logo. The boar bristles will stimulate your face and mix up a great lather. Great wet shaver starter brush.